This is the eleventh in a series of articles from NCLC that provide advice for families in financial difficulty. Other articles address lowering mortgage payments, medical debt, debt collection harassment, reverse mortgages, car repossessions, and other topics. Click here for a list linking to all the articles in this series. This article explains rights to cancel, reduce, or delay federal student loan payments. Also covered are ways to get out of default short of paying past due amounts and details about the government’s collection methods. Finally the article addresses private student loans. Free information to help you with all types of student loan problems is available at NCLC’s website, www.studentloanborrowerassistance.org. NCLC’s Student Loan Law has even more detailed information. Most student loans are backed by the federal government. The federal government has extraordinary powers to collect defaulted student loans if you don’t pay. It can seize tax refunds, deny you new federal student loans and grants, garnish a percentage of your wages without a court order, charge you very large collection fees, and even take a portion of your Social Security benefits. To make matters worse, there is no time limit for collection on federal student loans. The government can keep trying to collect for twenty, forty, or even more years. Consequently, federal student loans require your immediate attention, both because of the federal government’s special collection powers and because of the special rights you have to cancel, reduce, or delay your payment obligations. However, these special rights require you to take action to request them—you cannot wait for the government or the loan collector to offer these options to you. These special collection tactics and student rights apply only to federal student loans and not loans made by your school, a bank, or another financial institution without any backing from the federal government. Those are called private student loans. How you deal with private student loans will differ greatly from how you deal with federal student loans. Private student loans are discussed at the end of this article. Your rights and strategies will vary depending on the type student loan you have. Access information about your federal loans at the Department of Education’s National Student Loan Data System (NSLDS), by going to www.nslds.ed.gov or calling 800-4-FED-AID, TDD: 800-730-8913. When first using the online system, create a user name and password, supply an e-mail address, and provide other identity information. The NSLDS will provide your approximate loan balance, the type loans you have, who is servicing those loans, and other loan details. You can also determine what type of loan you have by checking your loan agreement papers. If you do not have copies, request them from your loan holder. If the loan is federal, the name of the federal loan program will be written at the top of the loan document and also on the loan application and billing statements. Your credit report will also have information about your loans. Direct Stafford Loans are the most common student loan. Since 2010, nearly all new federal student loans are Direct Loans, made directly from the federal government to you, with the school’s assistance. Federal Family Education Loan (FFEL) Stafford Loans are similar to Direct Stafford Loans, but were given out by banks or other financial institutions, administered by state and nonprofit guaranty agencies, and ultimately backed by the United States. Before 2010, many student loans were made under the FFEL program (also known as guaranteed loans), and many borrowers are still making payments on these loans or are subject to collection on old FFEL loan debts. PLUS Loans are loans for parents to help finance their children’s education and also for graduate and professional students. Since 2010, PLUS loans have been issued under the Direct Loan program, but were mostly FFEL loans before that. Consolidation Loans allow you to combine one or more federal loans into a new loan that has different, hopefully better, terms—now issued only through the Direct Consolidation Loan program though some borrowers continue to repay old FFEL Consolidation Loans. Perkins Loans were made directly from the school you attended. If you stop paying the school, the loan may eventually be turned over to the U.S. Department of Education for collection. Perkins Loans have a fixed interest rate of 5%. If the loan was made since 2010 and has the name of a bank on it, it is a private loan. If the interest rate is 10% or higher, it is most likely a private loan. If there is a co-signer on a loan, it is probably a private loan. If, when you took out the loan, you received a disclosure statement that looks somewhat like the statement you get when you take out a car loan, then it is probably a private loan. Most of the discussion in this article applies to federal loans only. A separate section at the end of the article discusses private student loans. If there were serious problems with the school, if you are disabled (or have passed away), even if you are in default on the loan, you may be able to apply to have your federal loan discharged—that is cancelled—by submitting paperwork to your loan servicer, debt collector, or directly to the Department of Education. This is an administrative process. Ask whoever is holding your loan for the appropriate discharge request form. The forms are also available at https://studentaid.ed.gov. Be prepared to meet resistance and delay, insist on your rights, and consider seeking assistance from an attorney. You may also have rights to cancel the debt by filing bankruptcy. A successful administrative discharge may not only completely wipe out the current loan, but may allow you to get back money you paid on the loan and any money that was taken from you through tax refund intercepts, wage garnishment, or other collection methods. In some cases, the government is also required to delete negative references on your credit report. This section summarizes your rights to cancel your loan. More information is available from the https://studentaid.ed.gov, from NCLC at www.studentloanborrowerassistance.org, and NCLC’s Student Loan Law. Unpaid Refund Discharge. You are eligible to discharge all or a portion of a loan if you left school and the school failed to pay you a refund you were owed. Borrower Defense to Repayment Discharge. You may seek to discharge all or a portion of a loan if your school misled you or otherwise violated state law regarding your loans or education. You should provide information identifying the law that your school violated and evidence showing the violation. • At the time of enrollment, state law disqualified you from getting a job in the occupation for which you were being trained (for example, you were enrolled in a truck driving program even though you had a physical disability that prevented you from obtaining a truck-driving license). • You did not have a valid high school diploma or GED when you went to the school, and your school did not ensure that you met the applicable alternative financial aid eligibility criteria (such as through an ability-to-benefit test). • The school forged your name on the loan papers or check endorsements, and you never went to school for the times covered by the forgery. Disability Discharge. You can discharge your loan if the Department of Veterans Affairs, the Social Security Administration, or your physician certifies that you have a total and permanent disability. Parents with PLUS Loans may apply for discharge based on their own disabilities, not those of their child. If two parents have a PLUS Loan and only one becomes disabled, the other must still repay the loan. The first step to apply is to notify Nelnet (a company hired by the Department of Education), by calling 888-303-7818 (8 a.m. to 8 p.m. EST, 7 days a week), e-mailing DisabilityInformation@Nelnet.net, or applying at www.disabilitydischarge.com. You can designate a representative to apply on your behalf, but you first must fill out the representative designation form available at www.disabilitydischarge.com. Additional details about applying are available there as well. Death Discharge. Your estate will not have to pay back your student loans. Your estate should submit an original or certified copy of the death certificate to the loan holder. The death of both parents with a PLUS Loan (assuming both took out the loan) is also grounds for the “death discharge,” but not the death of only one of two obligated parents. A parent can also apply for discharge of a PLUS Loan if the student for whom the parent received the loan dies. Other Grounds for Loan Cancellation or Forgiveness. The Public Service Loan Forgiveness program allows Direct Loan borrowers employed in certain occupations to discharge any remaining loans after making 120 qualifying payments (the equivalent of ten years of payments). Certain teachers who have taught for five consecutive years are also eligible for at least partial loan forgiveness. Perkins Loans also may be partially or completely cancelled for borrowers who work in certain fields. Be sure to review the details about all of these programs at https://studentaid.ed.gov. Bankruptcy. It is very difficult, but not impossible, to discharge a student loan in bankruptcy. You must prove that repaying the loan would cause an “undue hardship” for you and your dependents. Courts generally interpret this to mean that you must have serious financial problems which are likely to persist for reasons beyond your control. It is usually better to ask the bankruptcy court to make this determination at the time of the bankruptcy filing, but if you fail to do so, the bankruptcy court can make that determination later when collection attempts on the student loan are renewed. If loan discharge, cancellation, or forgiveness is not currently available to you, the government also offers options to lower your monthly payments, so you don’t default. Even if you do default, you can get out of default and qualify for one of these lower payment plans (see the section on Getting Out of Default later in this article). The typical federal student loan repayment plan, called the Standard Repayment Plan, generally gives you up to ten years to repay your student loan (up to thirty years for consolidation loans). Other repayment plans may lower your payments (at least initially). These plans do not reduce your total obligation, but they let you pay it off more slowly. This means that additional interest will be added to the loan, and you could end up paying more interest in exchange for more affordable monthly payments. Extended Repayment Plan. This option allows you to extend repayment over a longer period (usually no more than twenty-five years), thus lowering your monthly payment. These plans are generally available only if you have loans totaling more than $30,000. Graduated Repayment Plan. Payments start out low and increase every two years. In most cases, however, the loan still must be paid over a ten-year period. Income-Sensitive Repayment Plan. If you have an FFEL and do not want to or cannot consolidate into a Direct Loan, you best option is one of the income-driven repayment plans (discussed below) or possibly an income sensitive plan. Income-sensitive repayment allows for reduced monthly payments due to your financial circumstances. Payment is calculated based on your total gross income, rather than your discretionary income. There is no loan forgiveness under this plan even after several years of repayment. Alternative Repayment Plan. If no other plan is affordable, Direct Loan borrowers who have “exceptional circumstances” can submit documentation to apply for a repayment plan that is affordable. High medical expenses or private student loan payments could be among the expenses you provide to your loan servicer. There is no loan forgiveness under this plan. Income Driven Repayment Plans. In recent years, the government has created a range of income-driven repayment (IDR) plans. These plans calculate your monthly payment after considering your income, rather than basing the plan on your loan balance. By lowering monthly payments—in some cases to zero—these plans help you avoid default, which prevents tax refund intercepts, wage garnishment, seizure of benefits, and high collection costs. For these IDR plans, your loan servicer or lender will check with you every year to determine your income. If you fail to respond you will be dropped from the payment plan and your monthly payment will usually increase by a lot! In some instances, your balance continues to grow even though you make monthly payments, as interest will continue to be added to your loans. However, the government may pay a portion of the interest, depending on your loan type and repayment plan. Also, if you stay on an income-driven repayment plan for twenty or twenty-five years (depending on the plan), any remaining debt is forgiven, though some borrowers may owe taxes because of the forgiven debt. Brief descriptions of these plans follow below. Detailed information about each of these repayment plans and a calculator to compute your payment amounts is available at www.ibrinfo.org or https://studentloans.gov. Pay special attention to which loan types qualify for which of these repayment plans. FFEL and Parent PLUS borrowers can only access some of these plans. Pay As You Earn (PAYE) Repayment Plan. This is often the best option for borrowers who qualify, particularly if you would otherwise have high student loan payments relative to your income. PAYE is only for those who had no student loan obligations as of October 1, 2007, and then received a Direct Loan disbursement on or after October 1, 2011. You pay 10% of your “discretionary income”—the amount by which your adjusted gross income exceeds 150% of the poverty line for your state and family size. In 2018, 150% of poverty was $1,517/month for a one-person household, $2,057/month for a two-person household, and $3,137/month for a four-person household. (The numbers vary in Hawaii, Alaska, or with different family sizes.) For example, if your monthly income is $120 above 150% of the poverty line, you only pay $12 a month. If you are married, your spouse’s income is included in this calculation only if you file a joint tax return. Your monthly payments can’t go higher than your payments on the Standard Repayment Plan. After twenty years of payments on PAYE, your remaining student loans are forgiven. Under the REPAYE plan, there is no cap on your monthly payment so that higher income borrowers could end up with payments higher than on the Standard Repayment Plan. If you only have loans from undergraduate studies, the remaining loan is forgiven after twenty years of payments. Forgiveness for loans from graduate or professional school is not available until after twenty-five years of payments. Income-Based Repayment (IBR) Plans. There are different IBR plans based on how recent your student loans are. If, on July 1, 2014, you had a zero balance on any loans and then took out a Direct Loan after July 1, 2014, your rights are almost exactly the same as under a PAYE plan. Because PAYE offers more flexibility in switching plans, you may choose to use PAYE (or REPAYE) instead of IBR. However, PAYE and REPAYE are not available for FFEL loans, but those loans are eligible for IBR. For older loans, IBR is not quite as generous as IBR is for newer loans. Your payments are 15% of the difference between your income and 150% of the poverty line, and forgiveness occurs after twenty-five years. In either case, as with PAYE, your spouse’s income is only included in the payment calculation if you file joint tax returns. Income-Contingent Repayment (ICR) Plan. ICR usually requires higher payments than PAYE and REPAYE. But it is essentially the only income-driven repayment option for Parent PLUS borrowers. If you have an FFEL Parent PLUS Loan, you can consolidate it into a Direct Consolidation Loan to become eligible for ICR. The calculators at https://studentloans.gov estimate what your monthly payment will be on ICR. Deferments. If you cannot manage your monthly payment using one of the repayment options listed above, you may choose to seek a deferment instead. A loan deferment lets you temporarily delay repaying your loan, usually for up to a year, though sometimes longer. You can often renew the deferment if it ends, but if not, you must resume making payments. Deferments are not available if you are already in default, typically defined as missing nine payments. To benefit from deferment, you must first get out of default, as described later in this article. Benefits from deferment depend on whether your loan is subsidized by the government. Subsidized loans are given out based on financial need. As of July 2012, graduate and professional students were no longer eligible for new subsidized loans. For subsidized loans, the government makes interest payments for you during the deferment period. Your loan balance will be no higher after the deferment period than before. When you defer an unsubsidized loan or a PLUS Loan, you will later have to pay back the interest that accrued during the deferment period. If you can afford it, you should consider paying the interest while you are in a deferment period. • Post-active duty deferments for borrowers who are enrolled in school when they are called to active duty and plan to re-enroll after their service is completed. FFEL and Perkins Loans have somewhat different deferment rules than those for Direct Loans. Forbearances. If you cannot qualify for a deferment, you can still request loan “forbearance,” meaning you do not have to pay for a while, and no adverse action will be taken against you during the forbearance period. Even for a subsidized loan, the government does not pay interest for you. You will eventually have to repay the full loan amount and all accrued interest. In some cases, you should be able to get a forbearance even if you’re already in default. This will not get you out of default without further action. In some circumstances, you have a legal right to a forbearance. For example, you have a right to forbear an FFEL or Direct Loan if your total student loan payments exceed 20% of your income even if you are many months delinquent. There are limits to how many times you can automatically get this and most other forbearances. If you don’t have a right to a forbearance, loan holders still may grant you one, especially for health or other personal problems that affect your ability to make your monthly payments. The government has a number of aggressive collection tactics it can take if you are in default on a federal student loan, which usually means you have not made payments for at least nine months. The next section describes methods to avoid those tactics completely by getting your loan out of default status. Denial of New Student Loans and Grants. If you’re in default, the government can deny you new federal student loans and grants. Your Credit Report. Most student loan defaults appear on your credit report for seven years. Perkins Loans may be reported until repaid in full, and then for seven years from the date of default. Aggressive Collection Agency Contacts. Most student loan debt collection is by private agencies hired by the government or other loan holders. Private debt collectors are likely to be aggressive and to not inform you of options that would help you out, such as loan cancellation rights or affordable repayment plans. In general, you have the same rights to deal with student loan debt collectors as with any other debt collector—described in a prior article in this series. Complain about problems with student loan debt collectors to the Department of Education at https://feedback.studentaid.ed.gov/ and the Consumer Financial Protection Bureau at https://consumerfinance.gov/complaint/. Collection Fees. When you are in default, a large portion of anything you pay to a collection agency on the loan is applied to high collection fees and not to pay off your loan—fees can be as high as 25% of your payment (less in some cases). Fees on Perkins Loans can be as high as 40%. Tax Refund Offsets. When in default, the government can intercept your tax refund, including your earned income tax credit. The only sure-fire way to avoid this is not to have a tax refund due by lowering your withholding or any estimated tax payments you make. If your joint tax refund is seized, your spouse can recover some of the amount by filing IRS Form 8379, a simple form available at www.irs.gov. You have the right to be notified before your tax refund is taken. You can contest the taking by checking appropriate boxes on the form (for example, the school closed or the school failed to give you a refund), by returning it immediately and by asking for a hearing. Send the form back return receipt requested as proof that you sent it. Do this every year that you get a notice. If you receive notice only after your tax refund is offset, you can contest the offset after the fact. Wage Garnishment. When in default on a federal student loan, the government can garnish part of your wages without first obtaining a court judgment. The first $217.50/week of “disposable pay” (basically your take-home pay) is protected from garnishment. If your disposable pay is less than $256/week, the government can take the amount that exceeds $217.50/wk. If you make more than $256/week, it can take 15% of the pay. Request a hearing and explain why you think you need not repay the loan. Ask for a repayment agreement, especially before the wage garnishment begins. Explain you lost your old job against your wishes and have not been continuously employed in a new job for a full year. If you enter a rehabilitation plan (discussed later in this article), the garnishments stop after your fifth on-time rehabilitation payment. Federal Benefit Offsets. The government can seize part of certain or your government benefits, including Social Security, Social Security Disability, certain railroad retirement benefits, and Black Lung Part B benefits. Some benefits are exempt from seizure, including Supplemental Security Income (SSI), Veterans benefits, and Black Lung Part C. To find out which benefits can be seized or are protected, go to www.fms.treas.gov. For benefits the government can seize, the government cannot touch the first $750 a month. If your monthly benefits are under $832 a month, it can seize the amount that is left after $750 is protected. If your benefits are over $832 a month, it can seize 15% of your benefits. You should also receive a notice warning you that your benefits are going to be taken, with information about your right to request a hearing with the agency that is collecting the money. Request a hearing if you think you have defenses to repayment or if you are facing financial hardships. Lawsuits. There is no time limit for the government to sue you to collect on federal student loan debt. If you are sued, you may have defenses and you can resolve the lawsuit by getting out of default (as discussed below) and resuming payments, or by applying for loan cancellation or discharge. License Revocations. Some states allow professional and vocational boards to refuse to certify, certify with restrictions, suspend, or revoke your professional or vocational license, or even fine you if you default on a state-guaranteed student loan. Some states may allow for suspension or revocation of your driver’s license, too. Some states also apply these policies if you are in default on federal student loans. As described in the prior two subsections, after you default on your federal student loan by missing nine months of payments, you may be subjected to harsh collection tactics and lose access to some of the most generous repayment plans and deferments. It is greatly to your advantage to get out of default. One way is to cancel the loan as described earlier in the article. Three other ways are described below, but these do not happen automatically—you must press for your rights and initiate the request. Reach a Settlement to Pay Off Your Loan Balance. You can get out of default by negotiating a settlement with your loan holder or the Department of Education to pay a lesser amount to pay off the loan. It can be difficult to negotiate a “good” deal, and you probably will need a large, lump-sum amount to offer. Get any settlement in a writing that confirms that you no longer owe anything, then pay on time, and request a satisfaction letter as proof of your payment in case someone attempts to collect further from you. Consult with a tax professional about any tax liability from your settlement. Loan Consolidation. Loan consolidation is taking out a new federal Direct Loan that repays at least one Perkins, FFEL, or Direct Loan. Your consolidation loan, being new, is not in default. Being a Direct Loan, it is eligible for plans to reduce your payments not available to those with FFEL or Perkins Loans. Consolidation can also simplify repayment if you currently submit payments to multiple servicers. You can apply online and need not deal with debt collectors or servicers. You can consolidate your loans only once, although there are a few exceptions to this, such as if you are adding new loans that were not included in the first consolidation. Consolidation is not an option if your wages are presently being garnished to repay your student loans. (You can still consolidate if the government is taking part of your Social Security benefits or other income, though.) If you consolidate loans in default, collection costs may be added into the consolidation loan, increasing your loan balance by as much as 18.5%. Since the consolidation is a new loan, you may lose the right to raise defenses you have on the old loans. You must either pay the consolidation loan through enrollment in an income-driven repayment plan (such as PAYE, described above) or by first making three consecutive reasonable and affordable monthly payments. Because you need to do only one or the other, do not believe a collection agency that tells you that you have to make three payments on your old loans before you can consolidate. Consolidation also extends your repayment term and, therefore reduces monthly payments if they are not otherwise reduced through enrollment in a payment plan that takes your income into account. Distinguish Direct Consolidation Loans from private loan consolidation products. It is dangerous to consolidate federal loans into a private consolidation loan. If you consolidate into a private loan, you lose the rights you have under the federal loan program, including rights to cancel or reduce your loan payments. Private lenders may even offer you bonuses if you agree to consolidate with them, but this may not be the right choice for you. Read the fine print! More information about consolidation loans can be found in NCLC’s Student Loan Law, at www.studentloanborrowerassistance.org, by calling 800-557-7392, or by visiting www.studentloans.gov. Loan Rehabilitation. This section explains how to get out of default by “rehabilitating” your Direct or FFEL Loan—the rules are slightly different for Perkins Loans. Loan rehabilitation requires you make nine payments within twenty days of the due date during a period of ten consecutive months. After five consecutive payments, wage garnishments stop. If needed, call the collection agency or your loan holder to remind them to stop the garnishments. Once you make six consecutive payments, you re-establish eligibility for new federal student loans and grants. You must complete all nine payments, and then a Direct Loan gets out of default. For an FFEL Loan, the loan holder must also sell your defaulted loan to a new lender. If you don’t make all of your payments, you have to start the rehabilitation process all over again. Rehabilitation payments need not be at your old payment amount, but can be at a “reasonable and affordable” amount. Request lower payments and the collector should offer payments equal to 15% of the difference between your income and 150% of the poverty line. In 2018, 150% of poverty was $1,517/month for a one-person household, $2,057/month for a two-person household, and $3,137/month for a four-person household. (The numbers vary in Hawaii, Alaska, or with different family sizes.) For example, if your monthly income is $120 above 150% of the poverty line, you only pay $18 a month. If the amount is still too high, try to negotiate a lower amount based on your income and expenses. The minimum monthly payment for rehabilitation is $5—even if your income is below 150% of the poverty line, you still have to pay $5 each month during rehabilitation. After a successful rehabilitation, you are no longer in default, the default notation is removed from your credit record, and a new repayment schedule is established, but you are still paying on the same loan. You should have access to all of the flexible and income-driven repayment plans that fit your loan type, and you regain eligibility for deferments and forbearances you have not exhausted. The amount of your rehabilitated loan increases as much as 16% to reflect collection costs. Once you rehabilitate your loan, you will not be able to do it again if you end up back in default. Pros and Cons of Consolidation vs. Rehabilitation. Weigh the pros and cons between consolidation and rehabilitation; do not be pressured by a debt collector to choose one or the other. Make sure that you can afford to make the new payments for the option you choose so that you don’t end up back in default. Consolidation gets you out of default as soon as the loan is consolidated; rehabilitation requires nine payments in ten months; and for FFEL loans, there must be a buyer for your loan. Consolidation removes all loans from default with the one consolidation; rehabilitation requires you to separately deal with each loan. If you have an FFEL or Perkins Loan, only consolidation into the Direct Loan program gives you access to some of the newer income-driven repayment plans. Consolidation allows you to apply online; rehabilitation requires you to work out a payment amount with debt collectors. When you consolidate, you choose your new servicer, but you don’t have that option when you rehabilitate a loan. Rehabilitation’s main benefit is that if you successfully complete the rehabilitation process, the default notation on your credit report is erased, but any other negative information still remains. After consolidation, the credit report notes that you had a defaulted loan for a period of time, but that the loan is paid in full. If you have claims and defenses concerning your federal student loan, you may lose the right to raise them after consolidation, but not after rehabilitation. Free information to help you with all types of student loan problems is available at NCLC’s website, www.studentloanborrowerassistance.org. NCLC’s Student Loan Law has even more detailed information. The best Department of Education website to use for general information is https://studentaid.ed.gov and for information about your loans or how to manage your loans, you can use https://studentloans.gov. Also helpful is www.ed.gov. Useful publications to download from these websites, available in English and Spanish, include Do You Need Money for College?, The Guide to Federal Student Aid, and Federal Student Loans: Basics for Students. Borrowers can submit problems online at https://feedback.studentaid.ed.gov to the Department of Education’s Federal Student Aid Ombudsman or by calling toll-free 877-557-2575. Many guaranty agencies and private lenders also have ombudsman or customer advocate units. Another source to receive complaints is the Consumer Financial Protection Bureau at https://consumerfinance.gov/complaint. You can also contact your state or local consumer protection agency to make a complaint or seek assistance. Dealing with Your Private Student Loans. Private student loan payments are lower priority than paying your mortgage, rent, utilities, car loan, or even your federal student loans. Private student loans should be treated like your credit card or medical debt—the only difference being that, as with federal student loans, it is very difficult to discharge most private student loans in bankruptcy. Private student loan lenders or collectors may be willing to negotiate because they do not have as many collection tools as the federal government. They cannot intercept your taxes, seize your Social Security benefits, seize your wages before going to court, or deny you future government loans. A defaulted private loan may, however, show up on your credit report. Private lenders often hire collection agencies. You have the same rights as with any other debt to fight back against any collection harassment or abuse. If a number of years have passed since you last made a payment or requested a deferment or forbearance, consult an attorney before you contact the lender or start making payments again. A “statute of limitations” may have already expired on the loan, meaning the lender can no longer sue you on the debt. Payment now or even a new promise to pay may suddenly give the lender the right to sue you for years into the future. It can be complicated to determine the number of years before the statute of limitations prevents suit on a debt, hence the need for legal help. In many places, the number of years is six after your default, but in some states and for certain loans it may be only three or four years, or even as long as twenty. The attorney will want to see a copy of the loan agreement to help determine this. If you do not have a copy, request one from the lender whose contact information may be on collection letters or your credit report. If you reach out to the lender, avoid making payments or promises to repay, and don’t contact the lender unless you are prepared for them to follow up with collection efforts. Private student loans do not have the same flexible repayment, loan cancellation, and other borrower protections that federal student loans have, but there may be steps you can take to help. See if the loan agreement says anything about relief if you are having trouble making payments. If the statute of limitations has not expired, you may choose to negotiate for lower payments or even principal reduction. The borrower or the borrower’s estate will generally be liable for the loan even if the borrower becomes permanently disabled or dies, but some private student loan lenders voluntarily cancel the debt in these circumstances. For loans extended after November 20, 2018, the lender cannot declare a default and ask for the immediate payment of the full loan amount from either the student or a co-signer just because the student has declared bankruptcy or dies. For loans extended after that date, a co-signer’s legal obligation is also released upon the student’s death. Even for loans extended before November 20, 2018, lenders may voluntarily implement the same protections. You cannot consolidate private loans into federal loans. You should not consolidate federal loans into private ones. But you can look into consolidating higher interest private loans into a lower interest private loan. Also, if your private student loan’s interest rate is more than 6%, and you go on military active duty after taking out the loan, you have a right to reduce the interest rate to 6% while you are on active duty. If the lender does not adjust your rate automatically, notify it of your active duty status. In general, the ability to discharge private student loans in bankruptcy is subject to the same difficult standard as applies to federal student loans. But there is an important exception. If the school you attended (such as an unlicensed vocational school) is not eligible to participate in one of the federal student financial assistance programs, then you can discharge the private student loan in bankruptcy just like any other unsecured debt. Defending Against a Private Student Loan Collection Lawsuit. Private student loan lenders do not have the collection tools available to the government, so that they are more likely to sue on an unpaid debt. But you have a number of defenses to such lawsuits. If the school itself initially gave you the loan or referred you to a private lender, then you can raise as a defense to the collection law suit any claim or defense you have against the school. A viable defense might be that the school misrepresented graduates’ employment prospects or the overall quality of the program, or engaged in other serious misconduct, but not that the math teacher was too tough. Look carefully at any collection fees the private lender is seeking. The right to those fees must be stated in the loan agreement, and state law may further limit collection fees. If you have a dispute or questions, it is prudent first to contact the lender. Private student loan lenders may have an ombudsman or other customer advocate unit. The Consumer Financial Protection Bureau has a complaint system for borrowers experiencing problems with private student loans. To ask a question or file a complaint, go to https://consumerfinance.gov/complaint or call toll-free 855-411-CFPB. You can also contact your state or local consumer protection agency to make a complaint or seek assistance. 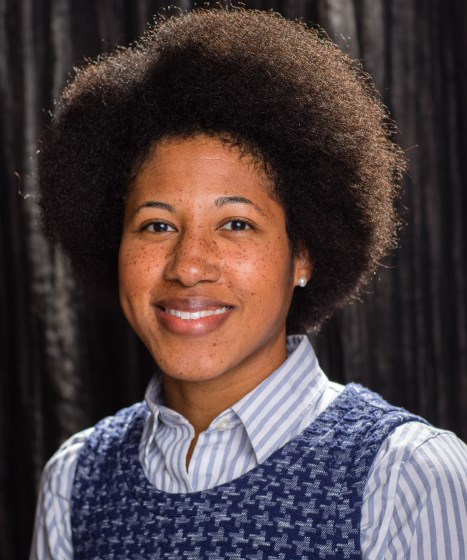 Joanna K. Darcus is the Massachusetts Legal Assistance Corporation Racial Justice Fellow at NCLC. Joanna represents low-income student loan borrowers of color, using advocacy and litigation to address predatory education and lending practices. Prior to joining NCLC, Joanna was a supervising attorney at Community Legal Services, Inc. of Philadelphia. While there, she represented hundreds of low-income consumers sued by debt collectors or struggling with student loans. She also trained other advocates and pursued policy reforms. Joanna is a graduate of Williams College and Duke University School of Law. She is a contributor to NCLC's Student Loan Law, Truth in Lending, and Fair Debt Collection.